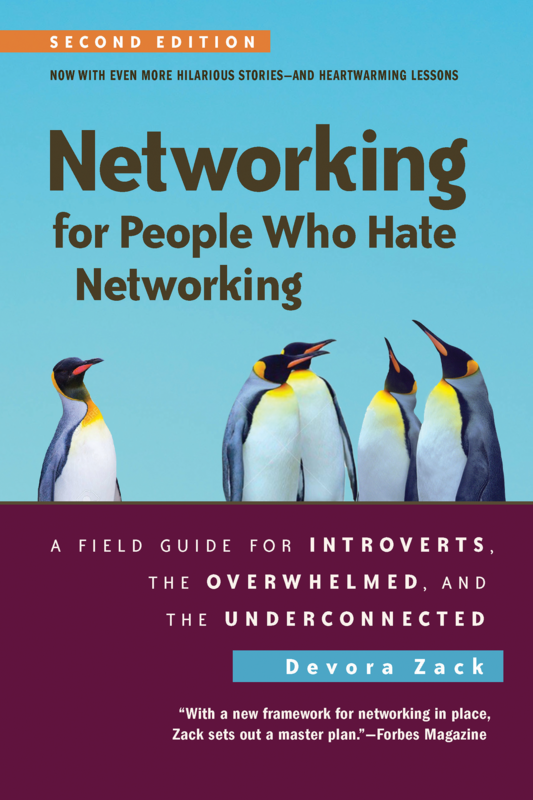 A new edition of Devora Zack's classic bestseller (over 120,000 sold in 15 languages) on networking techniques that leverage the strengths of the mingling-averse, updated throughout, with two new chapters. Would you rather get a root canal than schmooze with a bunch of strangers? Does the phrase “working a room” make you want to retreat to yours? Is small talk a big problem? Devora Zack used to be just like you—in fact, she still is. But she’s also a successful consultant who addresses thousands of people each year, and she didn’t change her personality to do it. Quite the contrary. Zack politely examines and then smashes to tiny fragments the “dusty old rules” of standard networking advice. You don’t have to become a backslapping extrovert or even learn how to fake it. Incredible as it seems, the very traits that make you hate networking can be harnessed to forge an approach even more effective than traditional techniques. It’s a different kind of networking—and it works.